For each character card, players choose the number of coins they want to bid by placing them in a closed fist. All players reveal their bets at the same time, and the winner of the auction gains control of the card's powers. Depending on the card, you may win additional coins or Dragonstones, gain powers, place spells on other players, or score points. 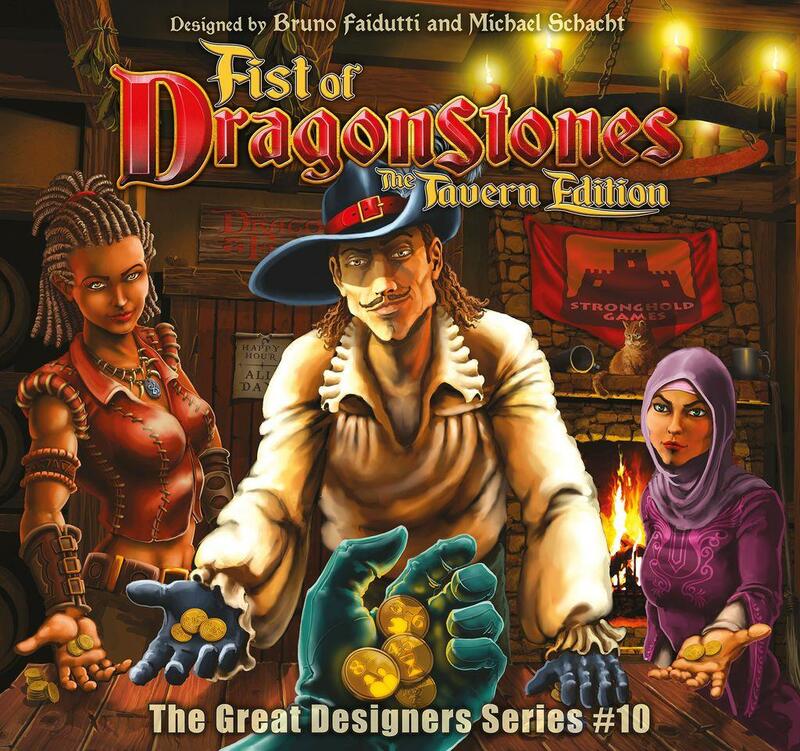 The rules of Fist of Dragonstones: Tavern Edition have been updated from the original Fist of Dragonstones to improve gameplay, including the introduction of the King's Favor, which speeds up play. The game includes more than 70 special character cards in the game, compared to 25 special characters in the original game. Some of these special characters can be saved for later use in the game. Thematically and artistically, the game has been re-imagined into The Dragon & Flagonuniverse.